Situated in the heart of Sacatepéquez County, the Mayan village "Vuelta Grande" is located only a few miles from Antigua. 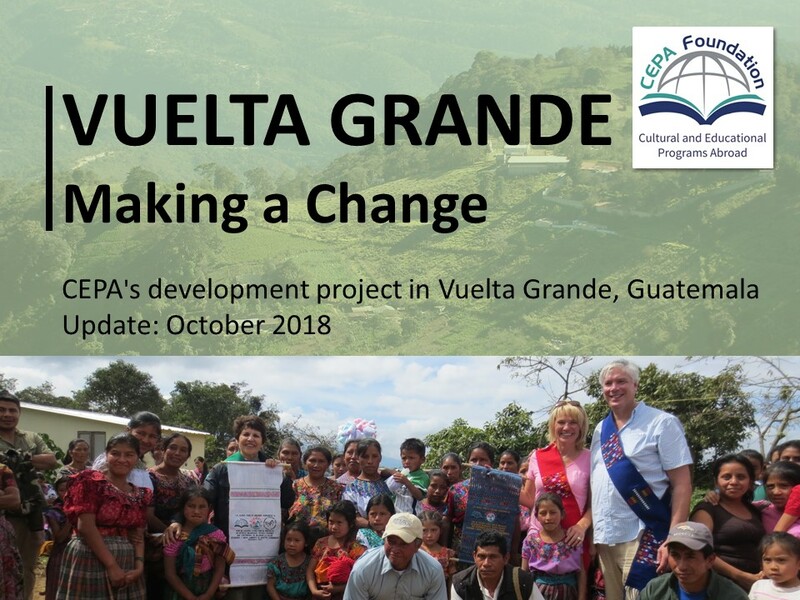 The indigenous population of "Vuelta Grande" is extremely impoverished, and the average standard of life falls far short of that in more developed areas. Through our volunteers, we hope to increase the basic standard of living for this community of 300 large families. In "Vuelta Grande", over 70% of children suffer from malnutrition, and every third child will remain illiterate throughout his or her life. By the age of ten, it is often necessary for children to contribute to the needs of the family, which results in a chronic lack of education. The combination of these unfortunate factors results not only in lifelong negative health implications but also further limits the opportunities of the younger generation. It is our goal to help the families, the children, and this community to attain a self-sustaining future through education. Through both early-childhood education as well as continuing education for adults, we hope to foster a culture of learning. To this end, CEPA Foundation is working in cooperation with the local non-profit foundation "Corazones Libres (Free Hearts Foundation)", the founder of which has been active in advocating for the Mayan community for over 20 years. 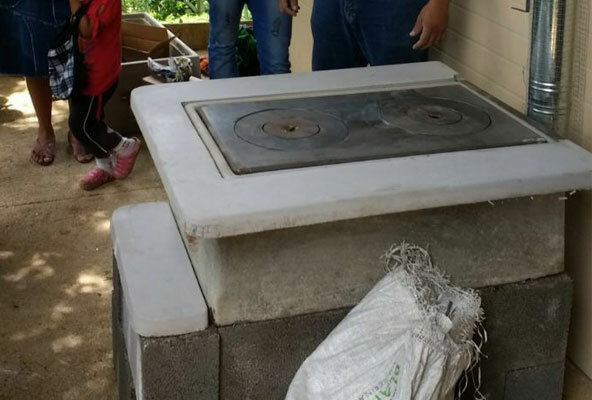 With a total donation amount of 10,000 CAD, Humber College and the Rotary Chapter in Etobicoke supported the purchasing of 50 smoke reduced stoves for the families in Vuelta Grande. The stoves come with a chimney that extracts the smoke from the cooking area and reduces the inhalation of smoke by the family members. Additionally, the stoves consume 60-70% less combustible material, thus greatly reducing the amount of firewood that is gathered. Partner with CEPA Foundation to create a service learning volunteer and/or awareness program. We will match projects in the community to meet the needs of your students and faculty leaders or together, we can create new initiatives that suit the objectives the community and your students' learning journeys. The volunteer and awareness projects focus on children and families, school and education improvement, and/or health and medical needs. Healthcare, dental and nursing, education, optomitry, agriculture, and water engineering majors are naturally a great fit for the current needs of the local community, but students from any academic field can greatly benefit from a service learning experience. A wide range of cultural activities and excursions to famous sights of Guatemala can be incorportated into any program. Contact us to let us now about your ideas and how we can work together.